Today, Lionhead studios announced that their upcoming sequel in their highly acclaimed Fable series, “Fable Legends” would be receiving a multiplayer beta this coming fall. David Eckelberry of Lionhead announced this during this years’ Microsoft E3 conference. 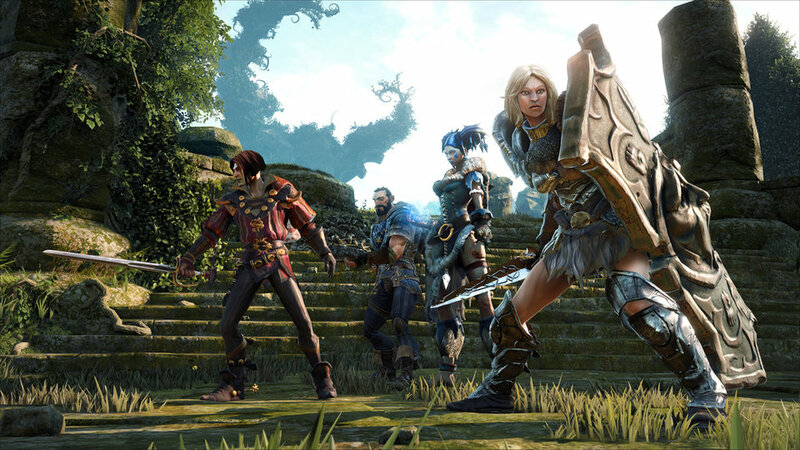 Those of you familiar with the Fable series and how it works are in for a bit of a change, as Fable Legends brings four player co-op to the table, a first for the Fable series (previously there has only been 2 player co-op in the Fable series). The game was announced at Gamescom last year. The game will launch on Xbox One and players can look forward to some pre-set classic classes that you might expect from a game like this. Players can choose from the ranged hero, the skilled hero, the hero of strength and the hero of will. Players will be able to choose between their preferred play styles and play the game how they want. The 4 player co-op aspect also allows a versatile gameplay experience with teamwork playing a very important role. It was previously confirmed that players will be able to take on the role of the villain characters in this game, these villains will be played through a tower defence-like style. Villains will be able to control enemy spawn points, making things quite difficult for the heroes. It will be possible to control the villains through Smartglass as well as the Xbox itself. I am personally looking forward to this game, and the beta seems like a great opportunity to get to know the game before I purchase, as it is quite a different premise to the older Fable games, a series of which I was a huge fan. I hope that the 4 player co-op will work out for the best. What do you think of this upcoming game? Will you be partaking in the beta?